Sean Awuku Maxbornd aka Paedae (Payday) and Mugeez Abdul Rashid aka Mugeez, are a hip-life rapping duo who go by the name R2BEES. R2BEES (Refuse 2 be Broke) is a movement, record label and group of talented young musicians who hail from Ghana and are making a huge impact not only in their country, but throughout the whole of Africa. Infusing Afrobeats and Hip Hop together, Paedae and Mugeez were first introduced to the world back in 2008 with their raw musical talent and embracing their Ghanaian culture in their work. Both born and raised in a small city called Tema, east of the country’s capital city – Accra in Ghana, West Africa. Paedae is the CEO and leader of the group, whilst Mugeez is the lead vocalist. The two cousins, who have been together their whole life, lived in the same house and also attended the same primary, junior and secondary school in Tema. Beginning their career early, they started off representing their school in rap competitions as well as inter school music contests. This led them to participating in radio contests in Tema, which they won most of and also performed at most shows; gaining them more buzz under their stage name at that time – Camp Yard. 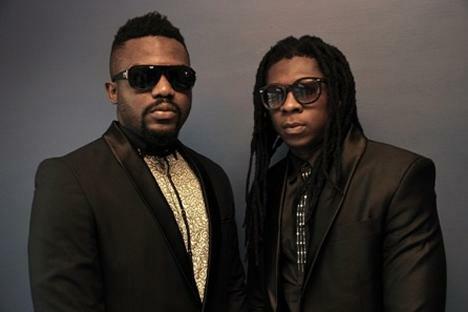 R2BEES released their first single in August 2008 titled ‘Yawa Gal’, and became an instant hit. They then went onto releasing ‘I DeyMad’, a chart topper across Ghana. Two years later –they went onto featuring one of Nigeria’s biggest stars Wande Coal on their track ‘Kiss Your Hand’, as their third single. With over 100,000 followers on their twitter account and just under 200,000 fans on their Facebook page, R2BEES have become a huge hit on social media – where they interact with their fans, and even sometimes take to their pages to premiere music videos and new singles. Their hit videos such as ‘Kiss Your Hand’, ‘I Dey Mad’, ‘Ajeii’ and their latest singles ‘Life’, ‘Odo’ and ‘Bayla Trip’ have over ten million hits on YouTube combined. The internet has helped them trade their brand worldwide, and get their voice heard on such big platforms. ‘Refuse 2 be Broke’ is the acronym for R2BEES and is an inspirational message that the duo have conveyed around since they came together as a dedicated group. The award winning group have taken Africa by storm within the short amount of time their career has been in the limelight, with their singles and albums ‘Da Revolution’, ‘Refuse to Be Broke (Da Revolution II)’ of which they featured UK’s very own Tinchy Stryder and two of Nigeria’s biggest stars – Davido and Wizkid and having worked closely with their in house producer Killbeatz (Joseph Addison) – who has produced most of their songs and hit singles; R2BEES have proven through their music that they’re more than just the average rapper and singer duo. R2BEES have an insatiable thirst for music and creativity that keeps them on top of their game as they master their craft. It goes to show that R2BEES are not ones to be shaken and proving that they refuse to be broken.